Preservation Alliance of West Virginia serves as the statewide grassroots organization dedicated to historic preservation in our Mountain State. With a commitment to preserve our unique cultural heritage, PAWV and its members support and promote historic preservation through education & outreach, advocacy, technical assistance, and heritage tourism development. PAWV advocates for historic preservation and cultural heritage tourism initiatives and protections. PAWV offers an educational conference once every two years. The next conference will be held in 2020 in southern WV. Purchase PAWV's new book, Historic Movie Theatres of West Virginia, ​for $21, and all proceeds go to PAWV. Your support is vital to securing a long-term future for West Virginia’s outstanding cultural and architectural resources. For our state’s vibrant cities and spectacular rural vistas alike, preservation is a key to stimulating our economy while simultaneously maintaining our proud heritage for future generations. Consider volunteering your time or making a monetary gift to PAWV. 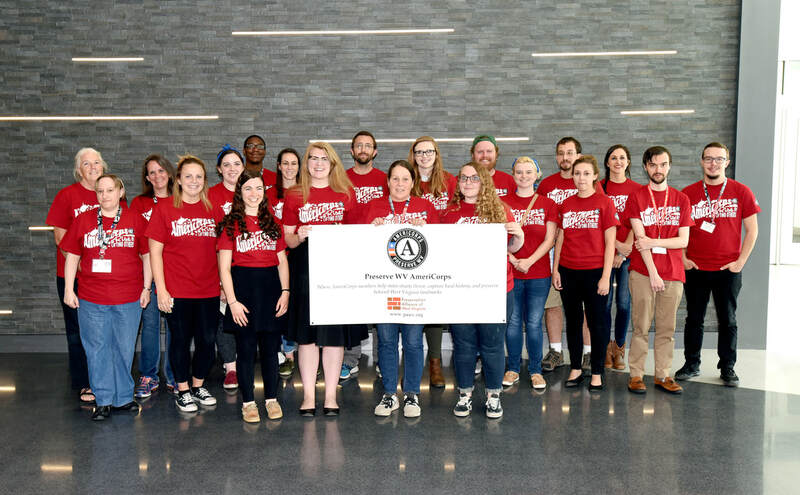 The Preserve WV AmeriCorps program is Preservation Alliance of West Virginia’s statewide service initiative where members help main streets thrive, help communities capture their local history, and preserve beloved West Virginia landmarks.